I don’t remember when it was that I first heard about Tithe.ly—but I do remember how excited I was. 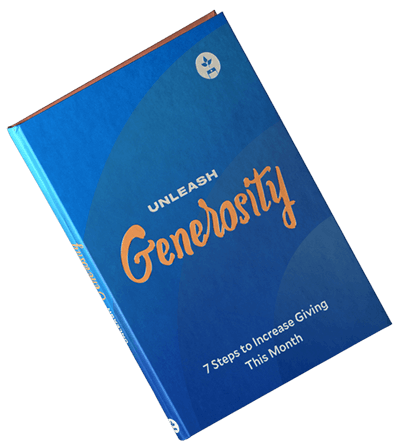 As someone who worked on digital solutions for churches, it was fantastic to be able to point my clients toward such a powerful option for setting up online giving. And the range of ways to give was (and still is) great! At WP Church Team, we work specifically with Churches that use WordPress—so I immediately went about integrating the standalone ‘Giving’ button for some of my clients, and realized it was something that could help HEAPS of churches who use WordPress. I got in touch with Frank and Dean to see what they thought about having a Tithe.ly church giving plugin for WordPress. Not only was I struck by their passion for serving the church by enabling them to financially support themselves, I was bowled over by their friendliness and openness. They were absolutely KEEN for a WordPress plugin—and would be stoked if I would develop it. We rolled out the first a few years ago now—and I’m excited to say we recently updated it to be even better! Tithe.ly plugin for WordPress 2.0 is here! You can now include the Tithe.ly ‘Giving’ button in your church website without any of the hassle of pasting in codes or editing html. Simply install the plugin, enter your Church ID, and you can add Giving buttons (or Giving forms) anywhere in your site using a wordpress shortcode or WordPress widget. What are you waiting for? You can find out more about Tithe.ly for WordPress over here. But that’s not all—we’ve also written a plugin that helps you use Tithe.ly with your Church’s next steps hub/kiosk/center. One of the plugins we developed at WP Church Team is called WP Church Center—it’s a way to set up a Next Steps hub for churches using WordPress. We’ve got churches using it as a mobile solution or powering kiosks in their foyer. It’s a great tool! What we’ve done is built an add-on for WP Church Center which allows churches to add Tithely Giving to their hub natively. A simple, single click - and up pops the Giving form - right from the homepage of their hub. It’s super slick and simple. If you want to know more about WP Church Center - or how to get Tithely Giving set up on it - you can find out about it here. At WP Church Team, we love helping churches use WordPress to further their ministry. But we’re particularly excited about integrating other great tools churches use with WordPress so they can use them seamlessly. We’re going to continue looking for ways to integrate Tithe.ly even more closely with WordPress—making it easier for you to let members give through your website. If you’d like to stay updated about future Tithe.ly + WordPress integrations, we’d love to keep you in the loop. 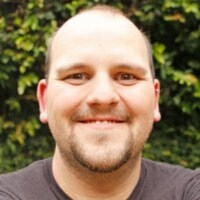 Guest post by Jordan Gillman, cofounder of WP Church Team and WP Church Center. WP Church Team is a subscription-based, concierge service that takes the ache out of managing yourWordPress website. They work with hundreds of churches and counting!